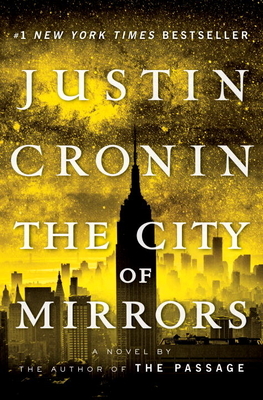 The City of Mirrors by Justin Cronin is the third and final installment of his Passage masterpiece. Fifty thousand souls have made the journey to refuge leaving an apocalyptic nightmare of terrors behind where ultimate evil clashed with unyielding good. Without a single "viral" sighting in years the urge to explore the unknown outside safe haven walls of Kerrville has become near mandatory due to overpopulation. This leads to an opening of Cronin's fantasy Sci-Fi Pandora's Box of horrors as he executes his finale by creating legends, introducing new threats, and resurrects fallen heroes. The City of Mirrors is a story of hope and perseverance after mankind has been driven to the brink of extinction. This long awaited conclusion to The Passage trilogy follows a vast array of characters as they struggle to rebuild civilization and then come face-to-face with a threat thought to be long defeated. Surround yourself with these familiar characters and get ready for an exciting ride! Justin Cronin is the New York Times bestselling author of The Passage, The Twelve, The City of Mirrors, Mary and O’Neil (which won the PEN/Hemingway Award and the Stephen Crane Prize), and The Summer Guest. Other honors for his writing include a fellowship from the National Endowment for the Arts and a Whiting Writers’ Award. A Distinguished Faculty Fellow at Rice University, he divides his time between Houston, Texas, and Cape Cod, Massachusetts.